يقع فندق Seashells Scarborough، المصمم ليناسب كل الضيوف سواء كانوا من رجال الأعمال أو السياح، في مكان ممتاز في أحد أكثر المناطق تفضيلاً في هذه المنطقة. يمكن من هنا للضيوف الاستمتاع بسهولة الوصول إلى كل ما تقدمه هذه المدينة النابضة بالحياة. كما يمكن الوصول بسهولة إلى عدة معالم سياحية قريبة. يعمل Seashells Scarborough على ضمان إقامة مريحة لضيوفه من خلال خدماته الممتازة وحسن ضيافته. يقدم العقار واي فاي مجاني في جميع الغرف, خدمة غسيل ذاتية, تخزين الأمتعة, صف السيارات, غرفة عائلية لضمان الراحة القصوى لضيوفه. بالإضافة لهذا، تتضمن كل غرف الضيوف مجموعة واسعة من وسائل الراحة . بعض الغرف توفر حتى تلفزيون بشاشة مسطحة, حمام إضافي, مرحاض إضافي, سجاد, رف للملابس لإرضاء أكثر الضيوف تطلبًا. يمكنك طلب اللائحة الكاملة للخدمات في الفندق ومن بينها ساونا, حمام سباحة خارجي. يحظى فندق Seashells Scarborough بموقع ممتاز وخدمات يصعب منافستها. 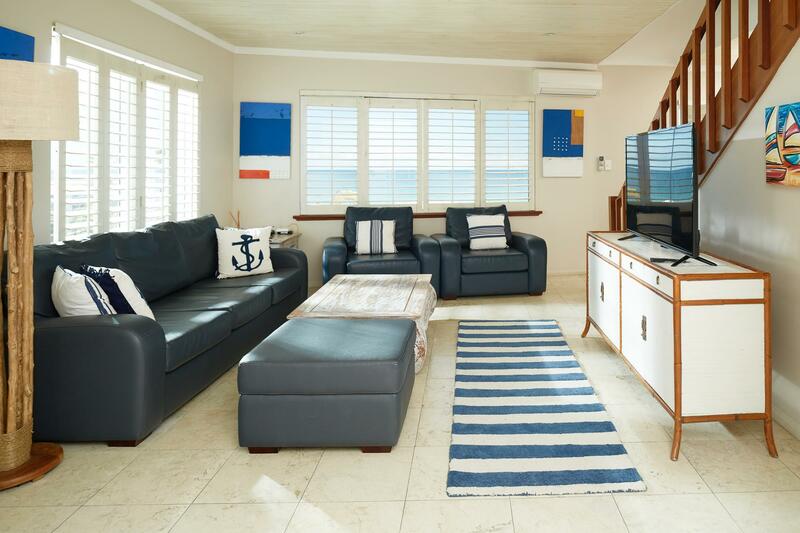 Ideal beachfront, spacious accommodation for a family of 5 with bonus of 2 bathrooms. Signs of wear & tear with a few cracked floor tiles & damage to lock area on apartment front door. The thermostat for the hot water is "extremely hot" throughout the apartment we stayed in, Reception was informed. Will be great when construction works on beachfront are completed. I feel sorry for the businesses having to put up with the 7 days a week construction work going on. It's absolute chaos down there. Putting that aside, we had a great stay. Units are well overdue for a refurbish. Bedding was good and nice big white towels. A charge of $3 per pool towel was over the top. Please replace the horrid artwork. I could not want for more. These apartments had everything from dishwasher to clothes dryer, different glasses for wine, champagne, etc enough cutlery and crockery for a family, appliances, even essential items, for example garbage bag refills, not to mention a stone's throw from the beach and view!!!!! They had thought of absoutely everything to make it an easy and confortable holiday for my family. 9.99 out of 10 as the wifi was a bit hit and miss. We'll be back!! The reception closed at 4 pm on weekdays and we had to make a call to get the key. Place is a little chilled as we were there during the winter months. Other than that, apartment is well equipped and spacious. Overall staying at seashells sand castle is great. The sea view is excellent. The apartment is great for family of 6 paxs to stay. Will go back to stay is got chance. But the kitchen cabinet and drawer look old and got scratch on it. We love the apartment. Though its a bit old furnishing. Doesnt really matter as what matters is the location. Its sea view. Perfect for us. We saw tall buildings almost everyday of our lives and seldom have open view of the ocean. So this time round i told husband no buildings view. Nearby to coles supermarkets. My favourite place. Basement carpark and also open carpark. Swimming pools. Full kitchen set. Microwave and oven. Its just sooo perfect. Kids and my grandma enjoyed the stay for 7nights. Onlybthe bed not comfortable but its ok. The apartment stayed compliments it all. Even i have guest coming in and they love the place too! Will stay here again if i get to perth. We were in a group of 3 couples and we took the 3 bedroom apartment. This is probably the best located apartment in Scarboro. Seashell hotel and apartment has all rooms facing the sea, and its true. 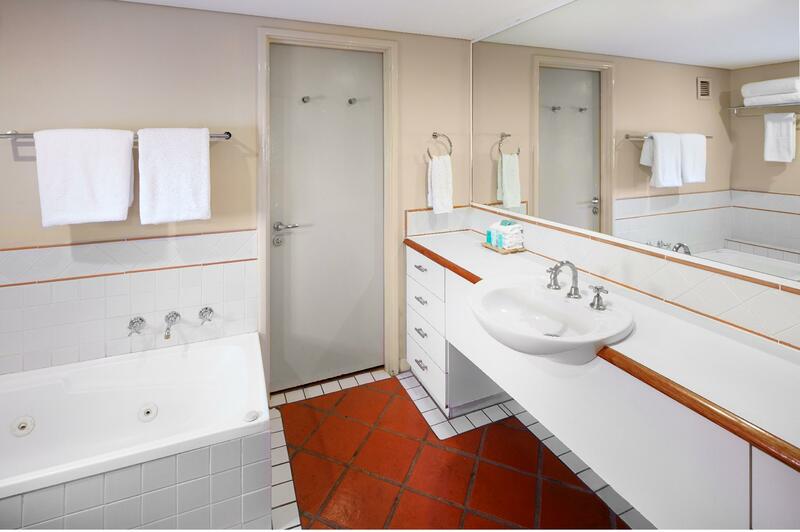 All rooms are air-con, master bedroom has a very big bathroom(Bathtub) and toilet, with a common bathroom for the other 2 rooms. Big kitchen, big living room, two balcony. U will be greeted by the beautiful indian ocean every morning, a view i will remember for a very long time, and end the day with a beautiful sunset. We rented a Hyundai Imax which cannot be parked in their basement carpark due to the max height of 1.94m, so we parked at the carpark right outside of the apartment. The carpark is free, and do not have to worry if the car would be stolen, as its very safe in scarboro. Within walking distance from apartment, you will find plenty of restaurant, which open till around 9pm. If you are looking for good food, try Grill'd, its very very nice. They served the best burgers in perth in my opinion, and the burger is not that big, just nice for a small guy like me. I would totally recommend anyone to stay at Seashell hotel and apartment for all the wonderful reasons i can think of. If you are looking for a quite place out of town area and beside the beach. It's quite a drive from the city area about 30mins. Fresh sunny air beside the beach, which you can workout in the morning before hitting town areas. Staying in 2 rooms, with living room and kitchen. You will have your own personal enterance or courtyard. The stay in Seashells Scarborough had been satisfying. 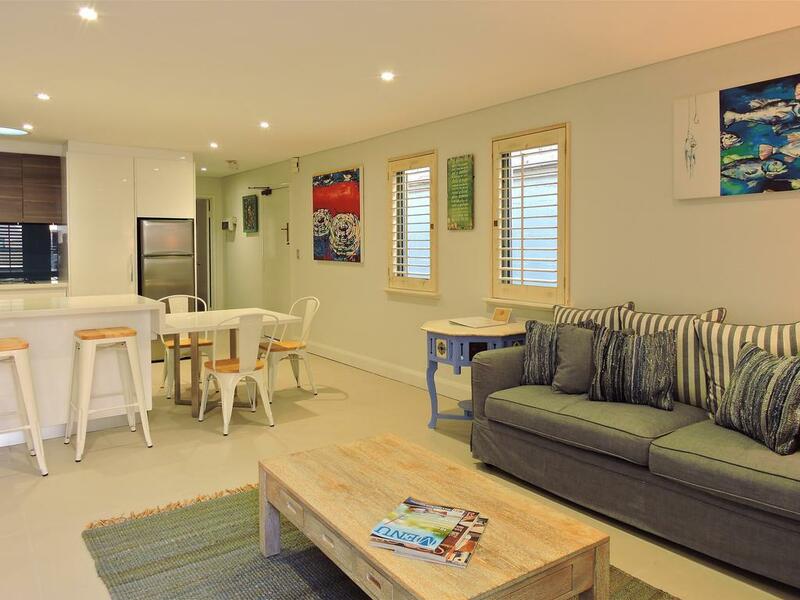 The apartment is across the road to Scarborough beach and the children enjoyed walking down the beach playing in the fine, white sand. The apartment is also about 3 minutes walk to Coles store and we had been going there to buy our groceries. Most importantly, this apartment is fully equiped with self-catering facilities as well as washing machine and dryer for the laundry. Overall, it is value for money. Very much enjoyed, great local to stroll to beach, bars & restaurants. Facilities were very clean and well maintained. The self-catering apartment we stayed in was spacious and well designed, providing separate entrance/exit if more than one couple shared. Very happy with our stay. 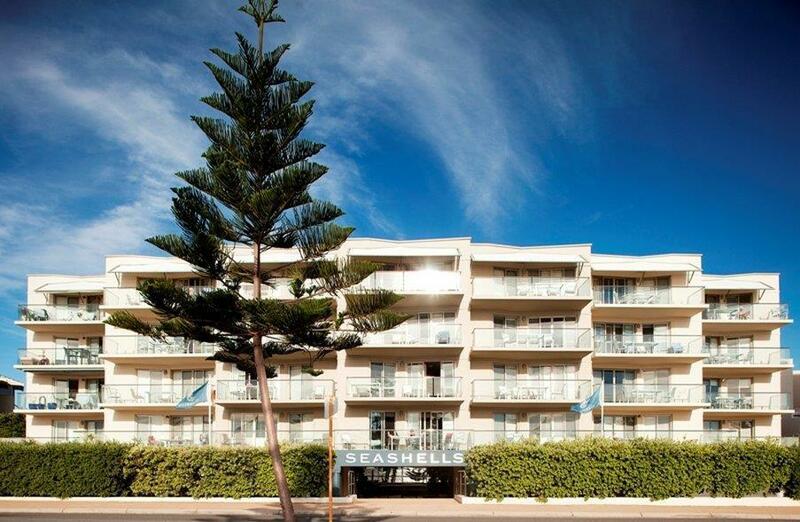 Proximity to the ocean and beach, updated apartment decor and nicely stocked with everything you need, centrally located to most of Perth's attractions. 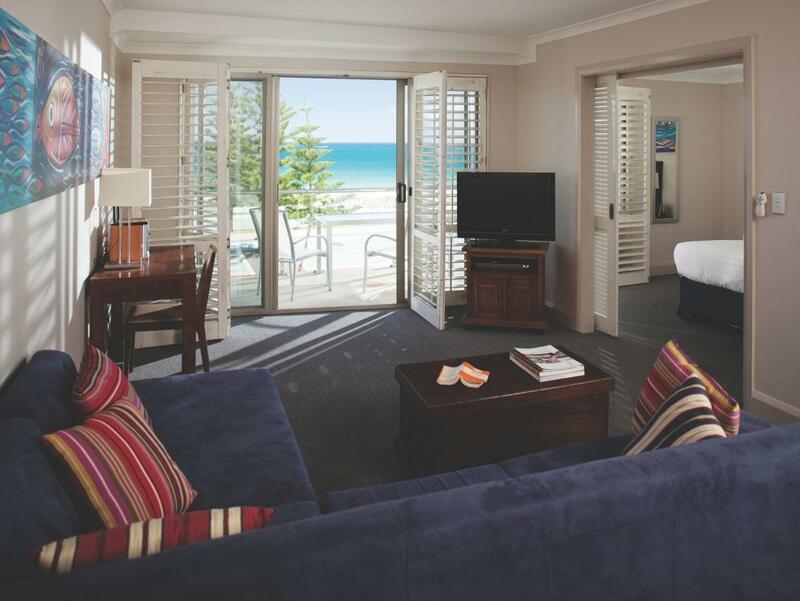 Our family loved our stay at the Seachells Scarborough with the proximity to the ocean being the kid's biggest joy (just a 2 minute walk down to the beach). Our apartment was in excellent condition, nicely furnished, and with modern decor. It made us feel like we were home, especially when you can just throw a load of laundry into your very own washer/dryer whenever you wish! 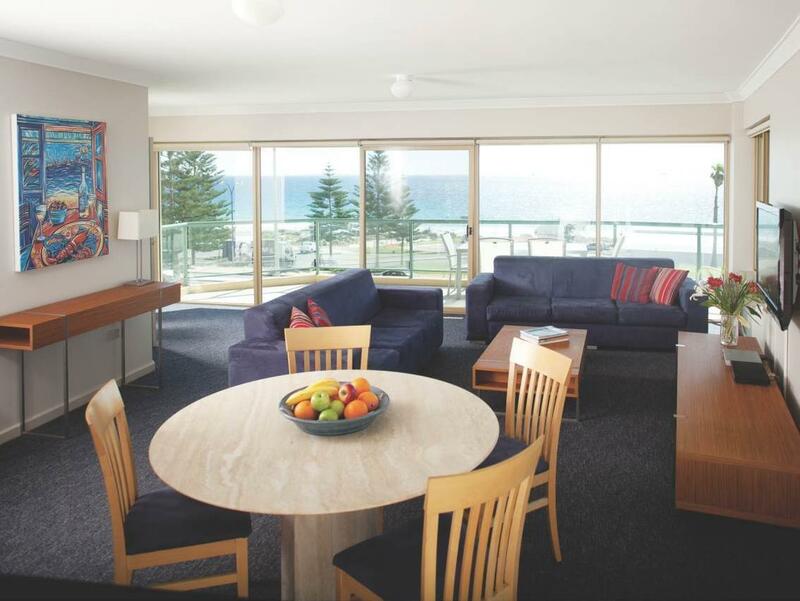 Perth's attractions were a short drive away in any directions, which made for great centralized location. Seashells was close to the local grocery store as well. 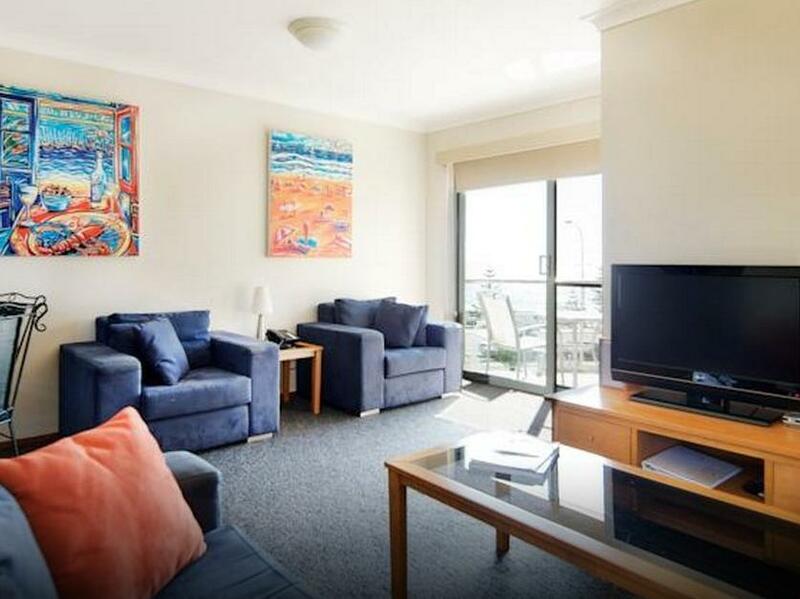 We'd recommend this apartment to anyone travelling to Perth. Good location, comfortable and convenient with easy access to public transport. My expectation was never been good when it comes to online hotel booking but I was totally wrong when I arrived at Seashells! 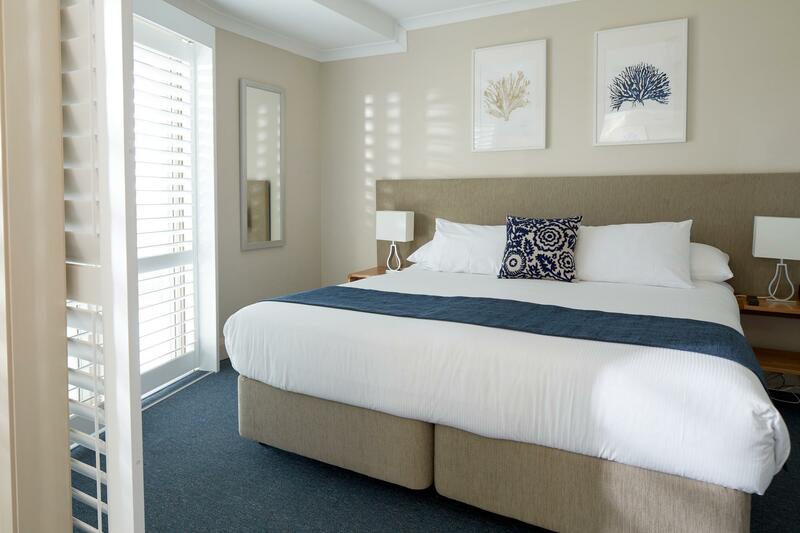 To us, the apartment is clean and well-equipped with all the basic needs, especially when travelling with kids, and the best thing is, it is located just 2-minutes away from the beautiful sandy beach (and Coles). My two girls really enjoyed their stay there and although it is located almost 45-minutes (with easy access to public transport) from the city center (by bus), we had a very good journey all the way. Watching the sunset and the beautiful Indian Ocean from our unit is always amazing and the kids are really looking forward to stay there again. Personally, Seashells has provided my family with a really good family vacation and unforgettable memories. Amazing ! I was a little skeptical given the price i pay relative to those in Fremantle and Perth City. But having a car, i don't mind not staying nearby major attractions. That said, driving to these places was easy so if you have a car, this is a place worth considering. I had a 2 room apartment and gets a full view of the ocean. The pool is a step away from the door and the unit is fully equipped with laundry facility, kitchen and BBQ. Getting back to an apartment with an ocean view right in front of you after a day out touring is a pleasure. It was an average serviced apartments. This should be adequate for a family. All the facility and amenity are available. It's right infront of the indian ocean, great view. But this place, scarborough was a small and quiet town. Not much thing to see other than sea. Food choices are very limited. Shops are limited. It was a self-contained apartment with everything you need to feel yourself at home. The apartment even had washing machine, clothes dryer machine and the best was the well equipped kitchen. We love the sea view especially at sunset. The sky was crimson orange color. There were 2 restaurants nearby - The Grill and Wild Fig. Coles supermarket was just nearby if you want to buy groceries and foods to cook. We rented a car to travel around as public transport was not that convenient. location was good. close to bus station and beach. rooms were clean. internet was good. partial views. need to check the views before you book cos when you arrive , you may get a surprise. staff were friendly. It was fantastic to stay in this hotel in terms of enjoyng the view and modern facility. Most of all, every rooms and beds were very clean and tidy, and my family loved to stay in the clean room. Besides, they provided the surprising breakfast set in fridge and we were very happy to enjoy it.